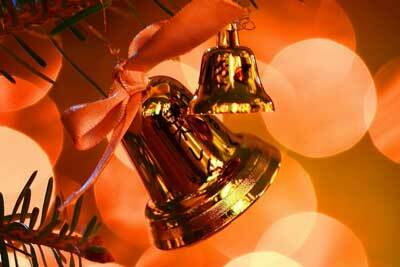 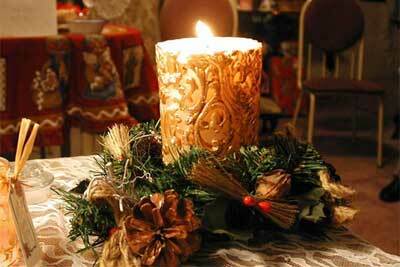 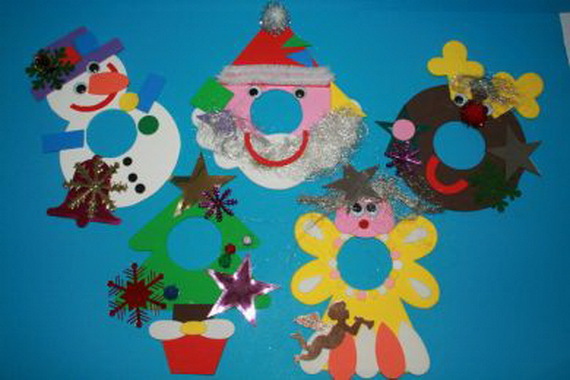 Christmas is the right time for fantastic decorations, and to give vent your activity, creativity and artistic capabilities that frees or expresses creative energy or emotion and encourage Children’s creative imagination to do something constructive when they make things that they can enjoy too. 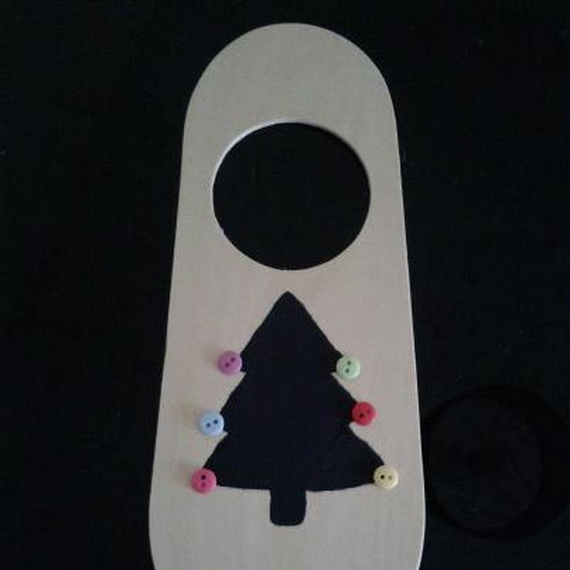 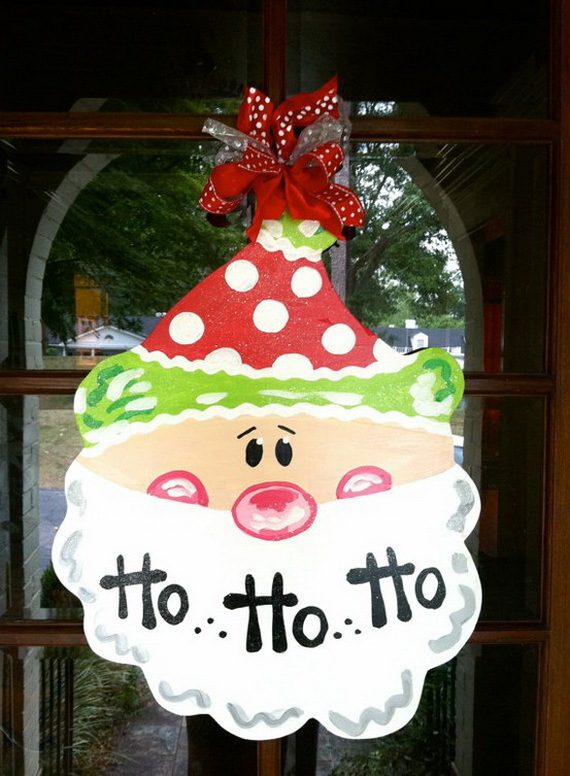 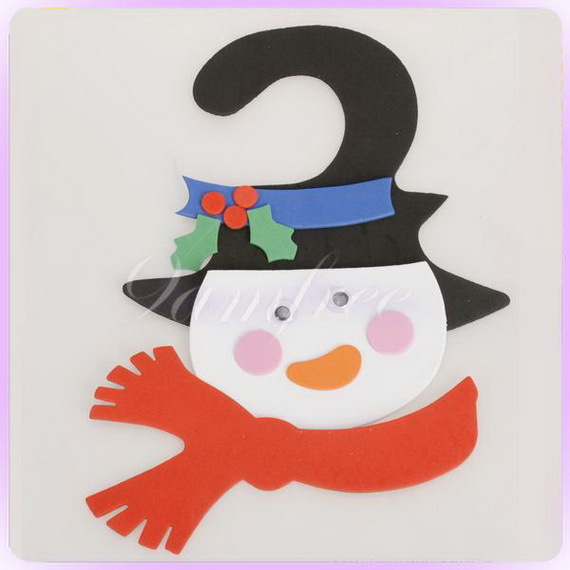 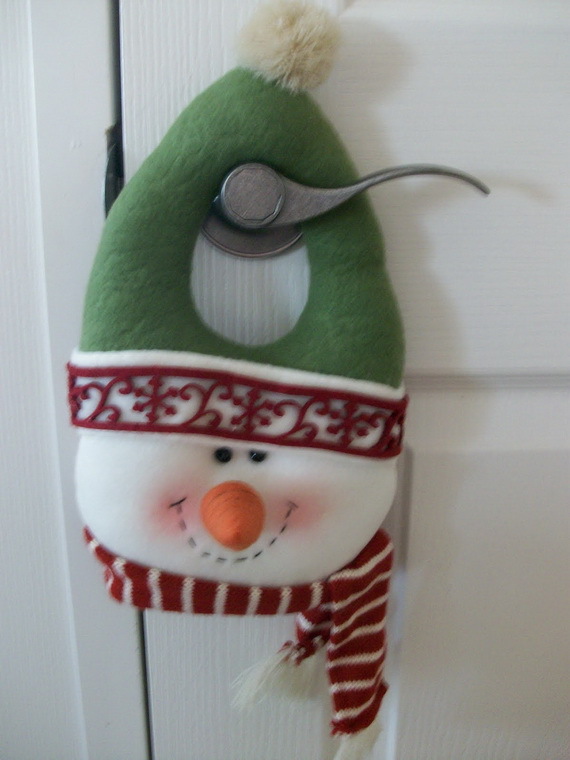 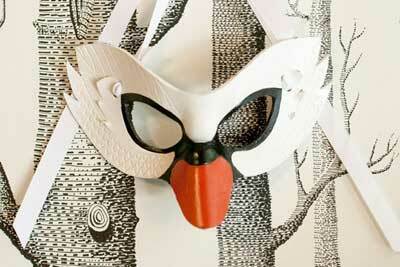 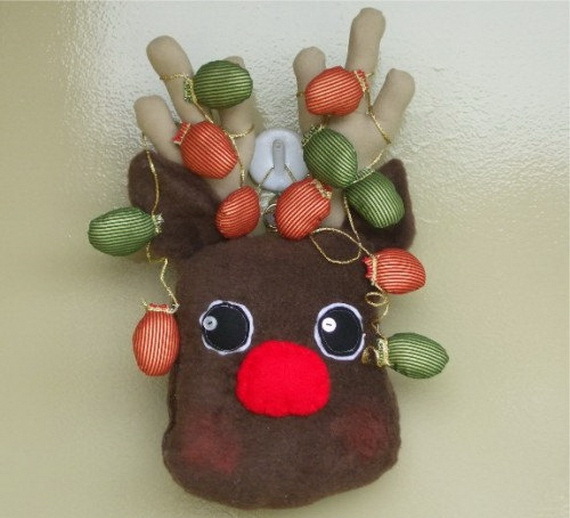 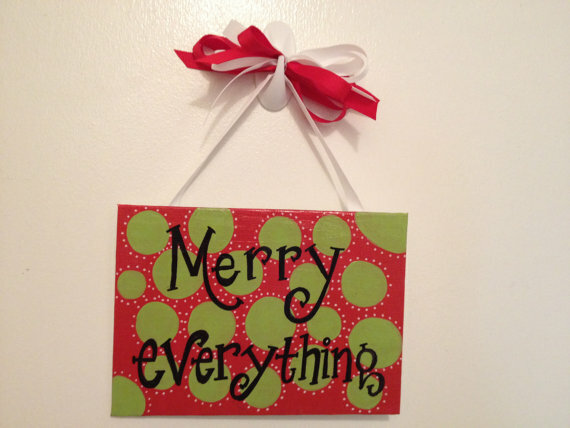 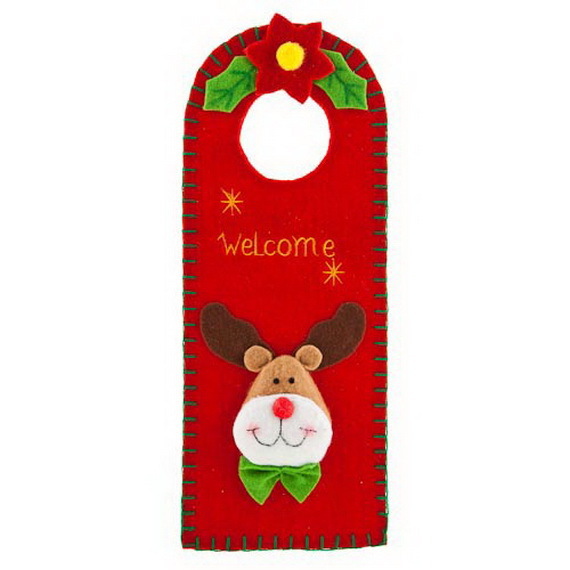 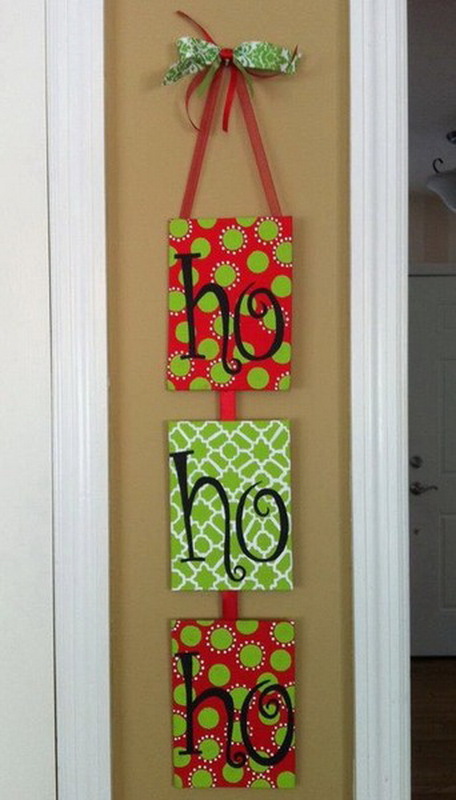 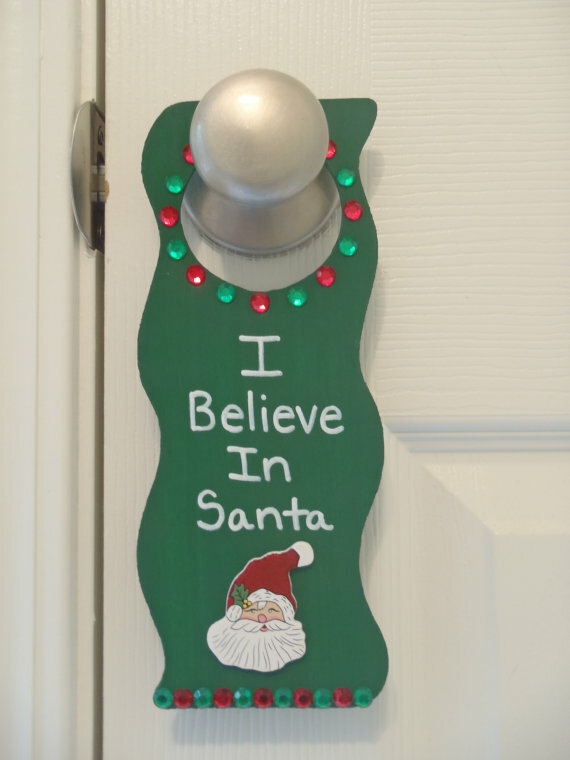 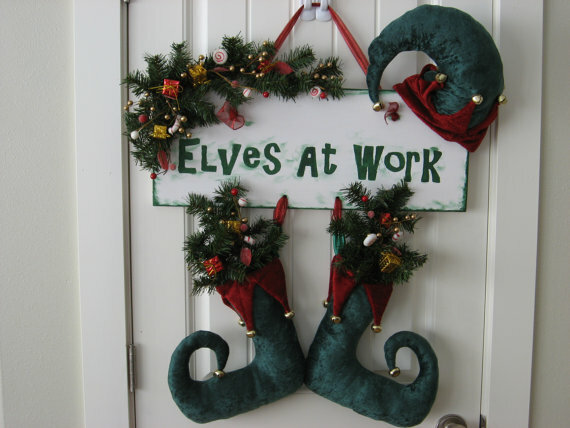 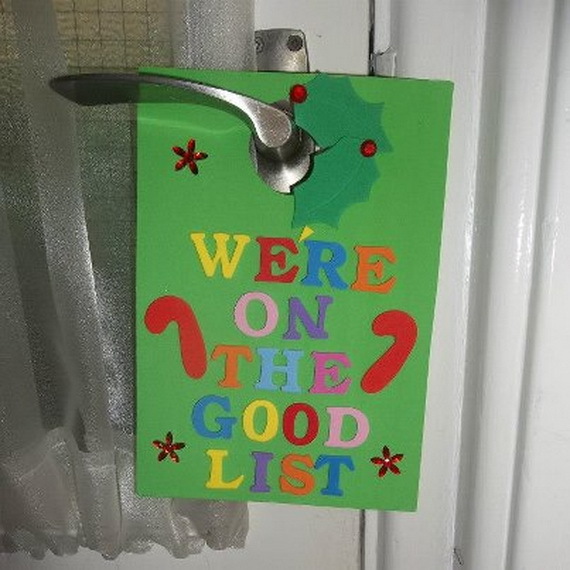 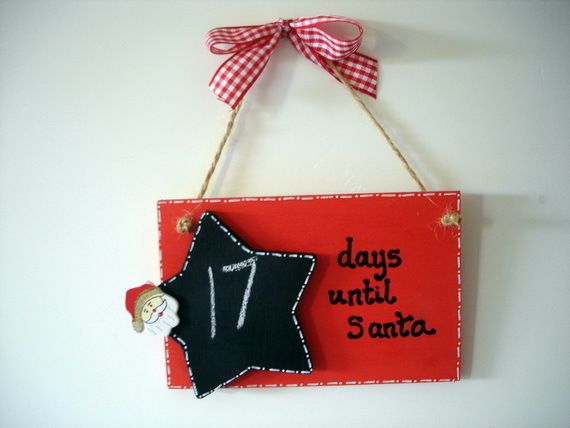 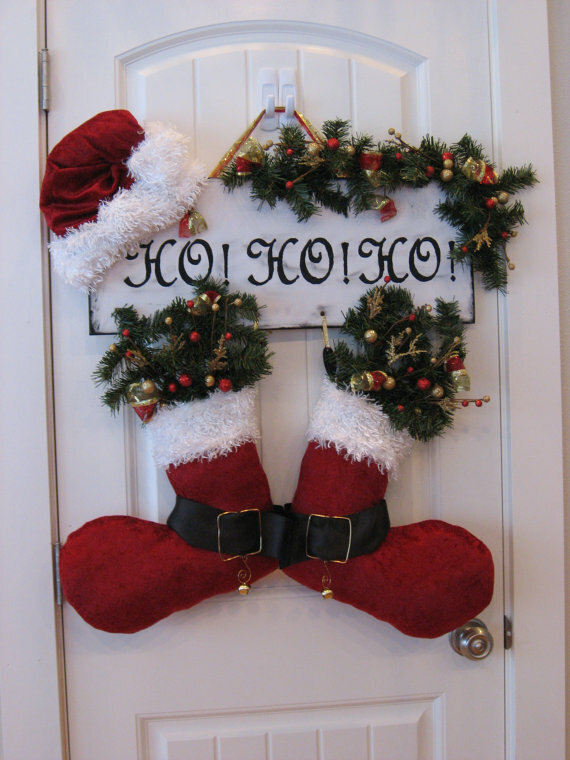 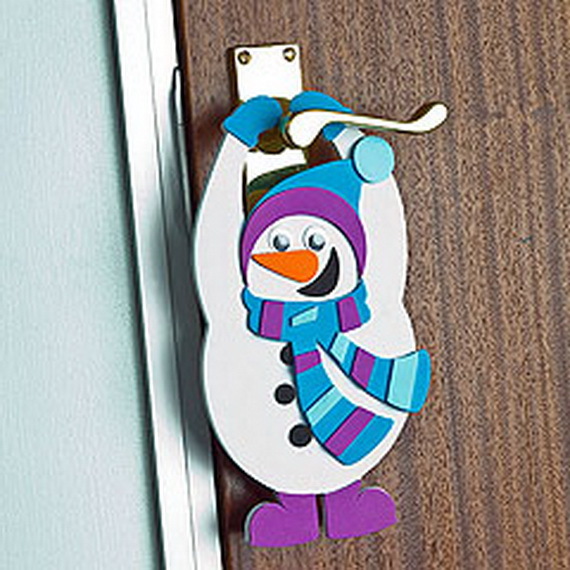 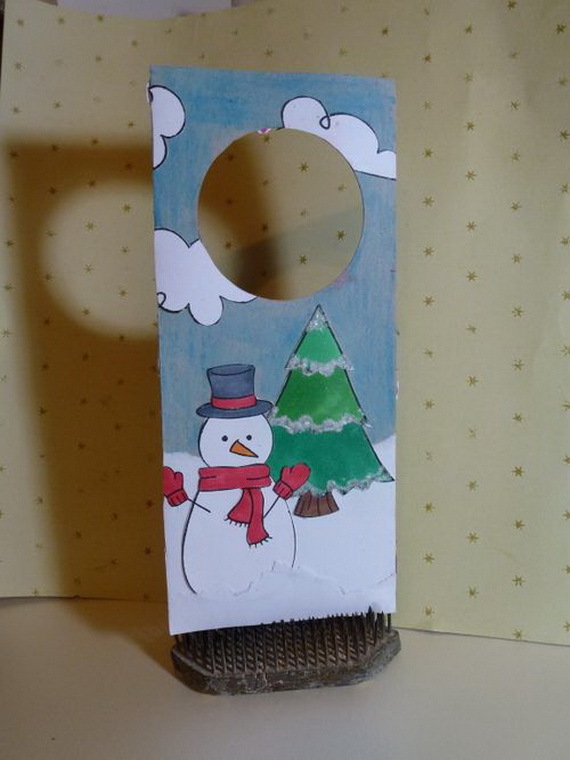 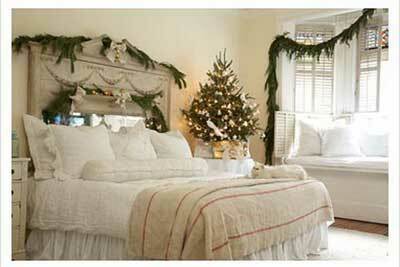 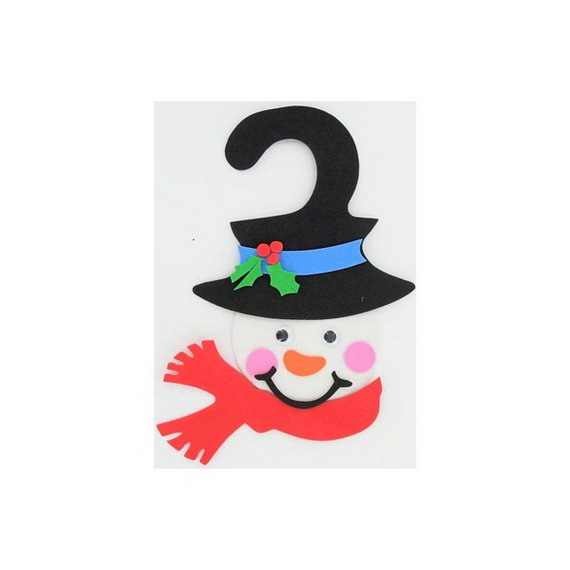 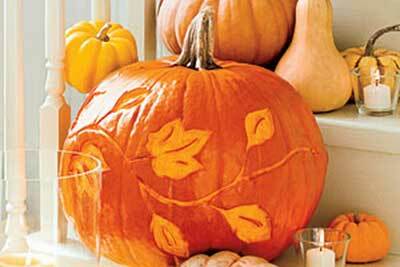 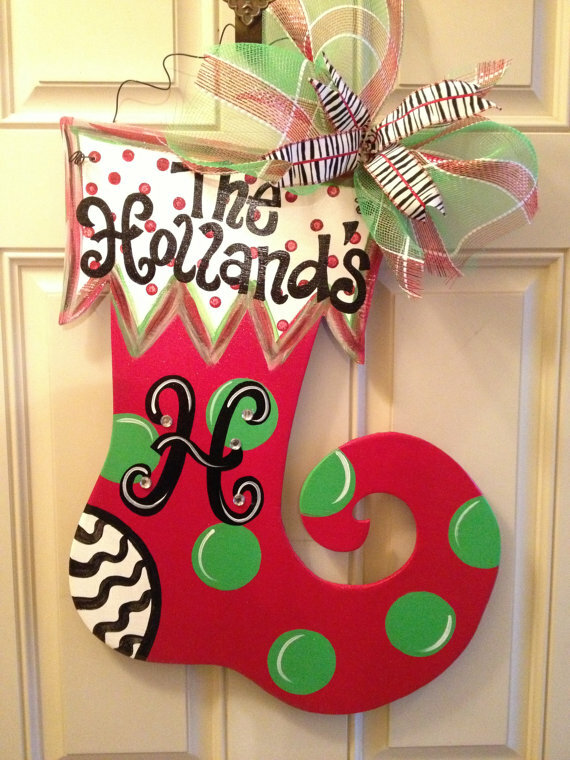 So make your child’s bedroom door more inviting by creating a festive door hanger. 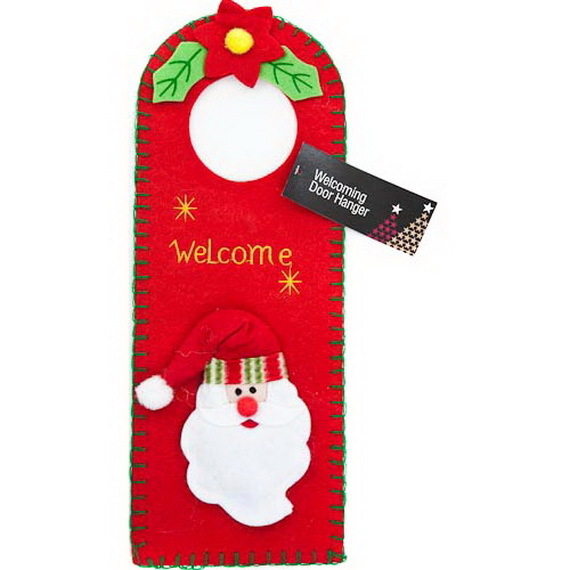 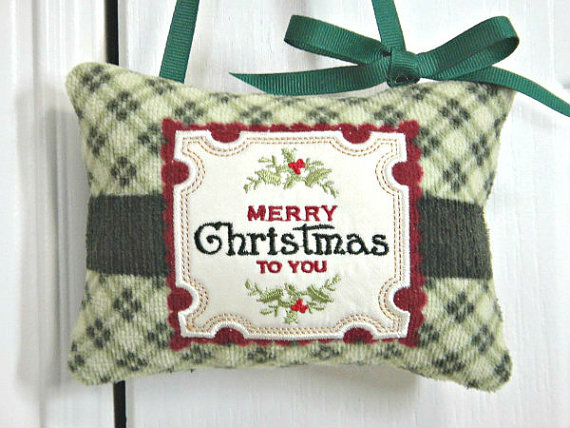 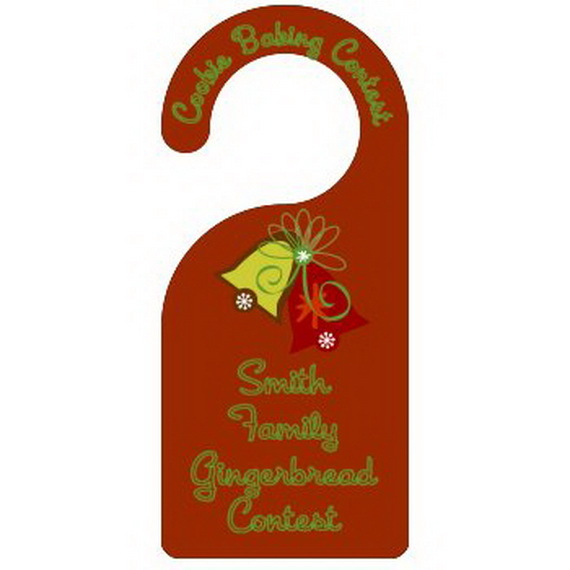 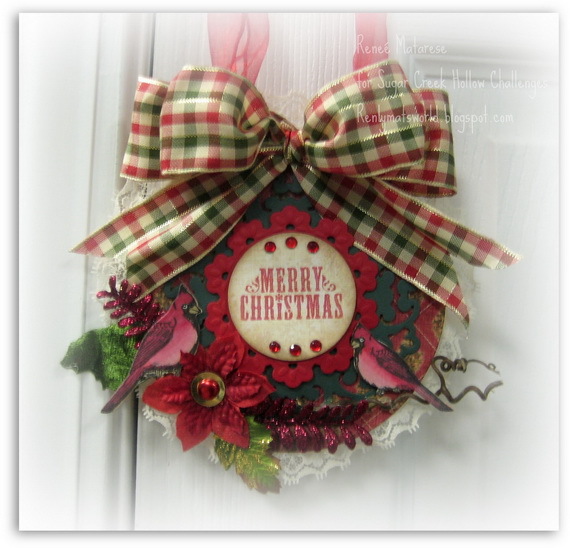 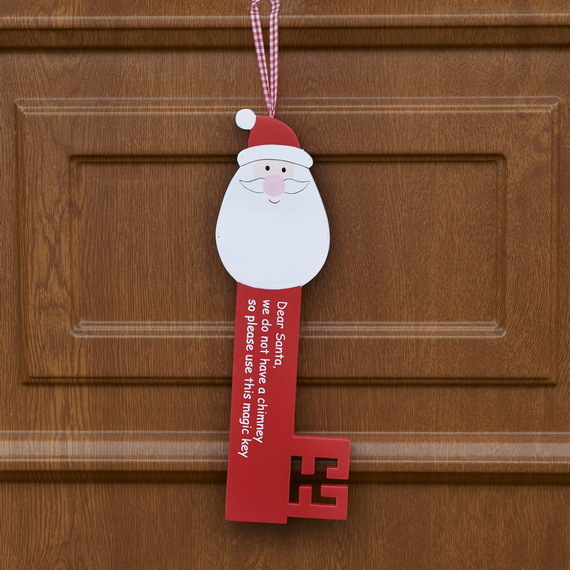 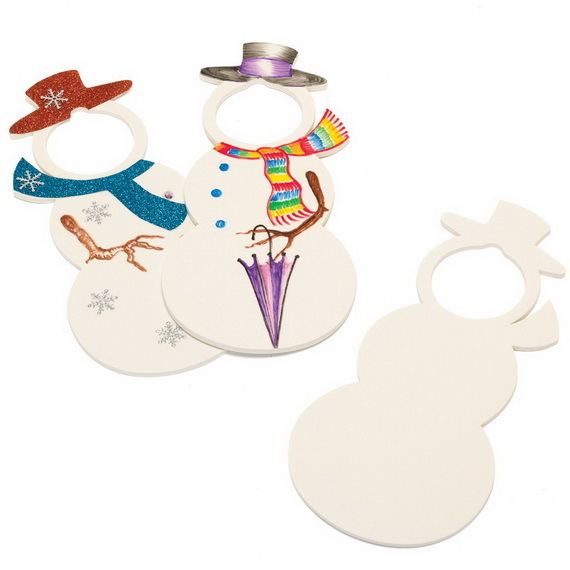 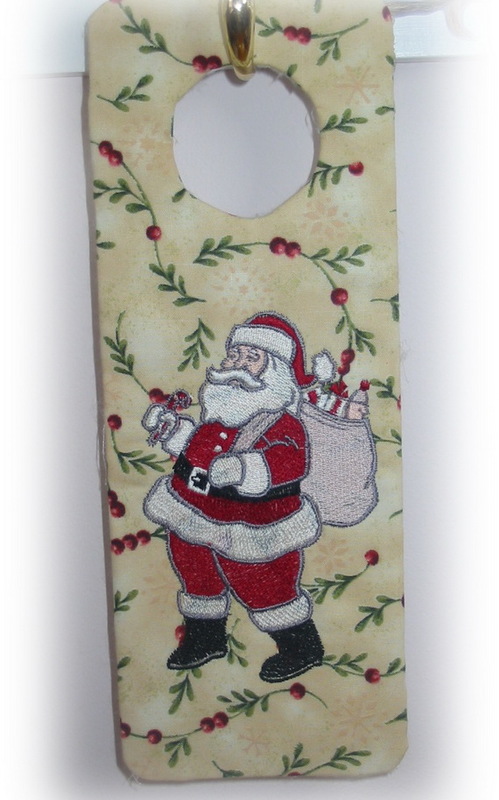 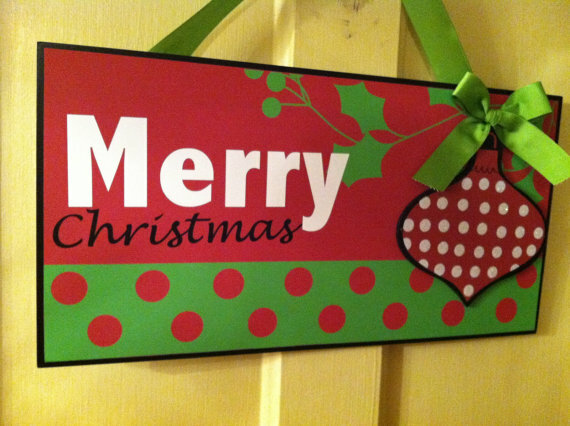 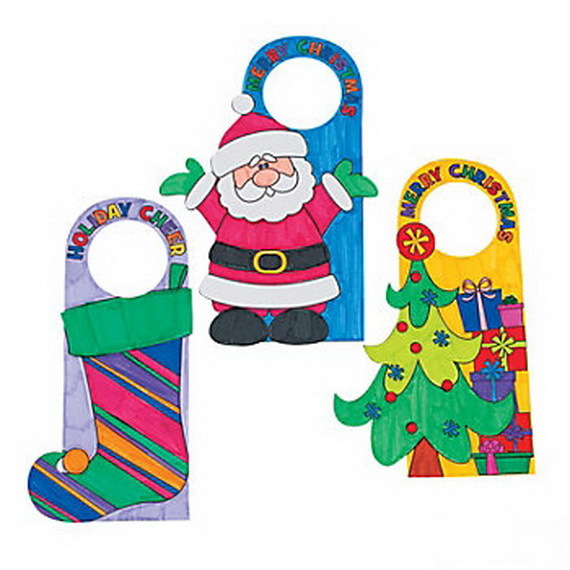 Christmas Door Hangers are the perfect addition on Christmas that spreads holiday cheer. 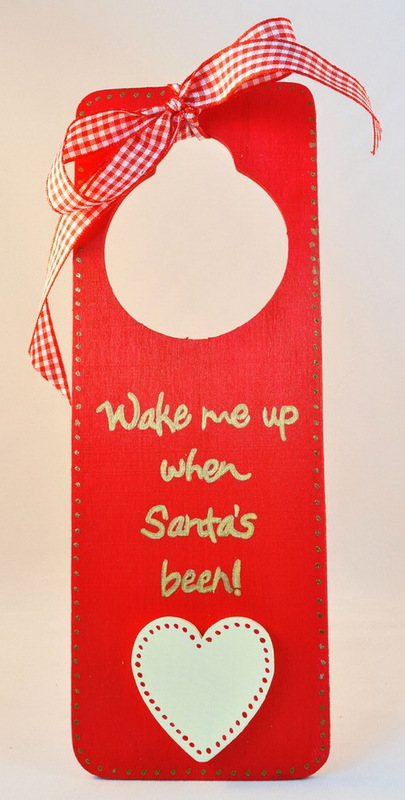 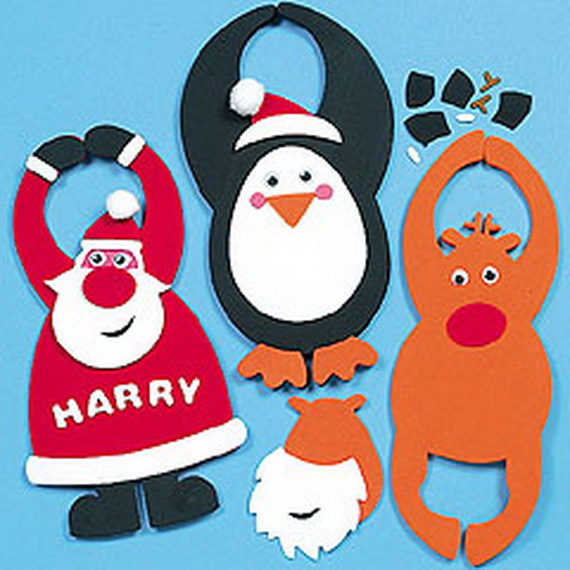 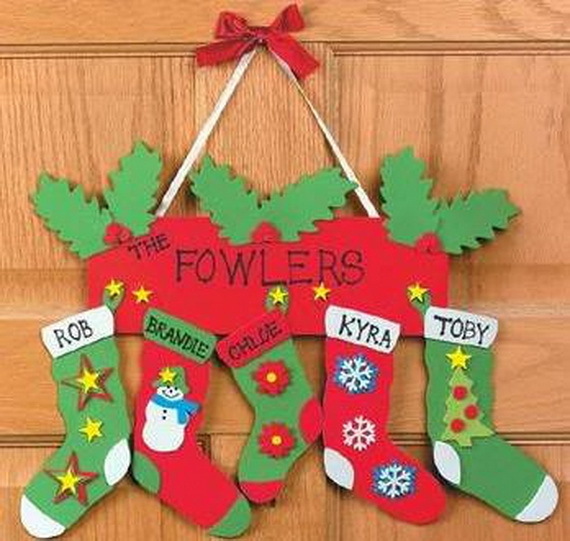 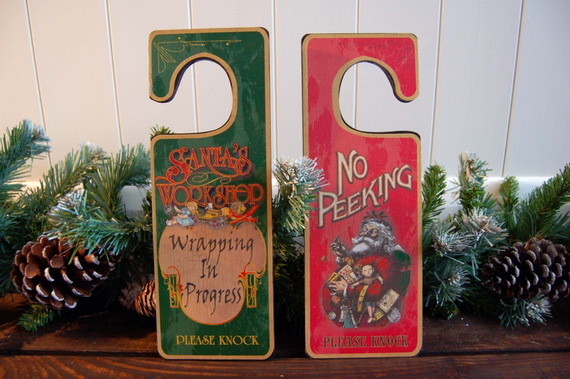 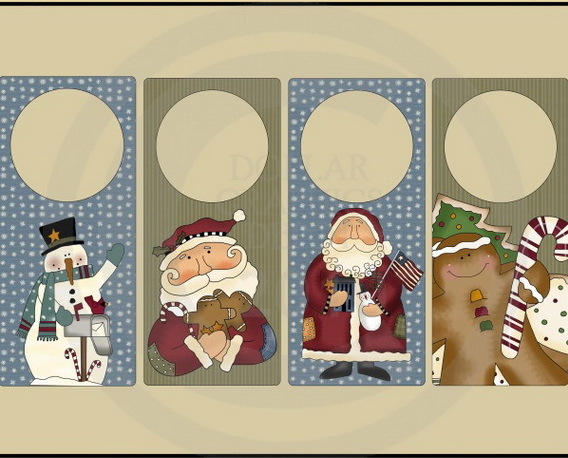 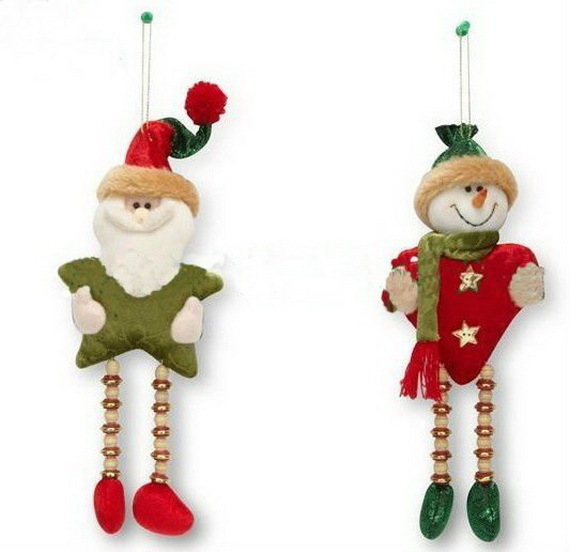 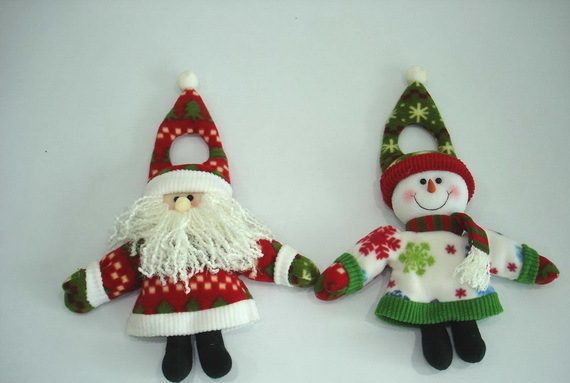 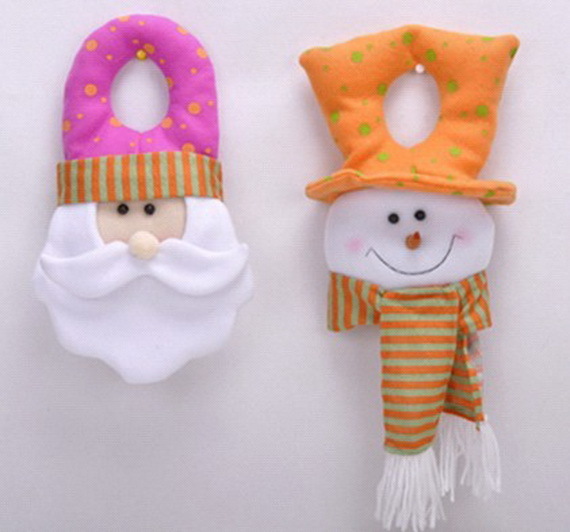 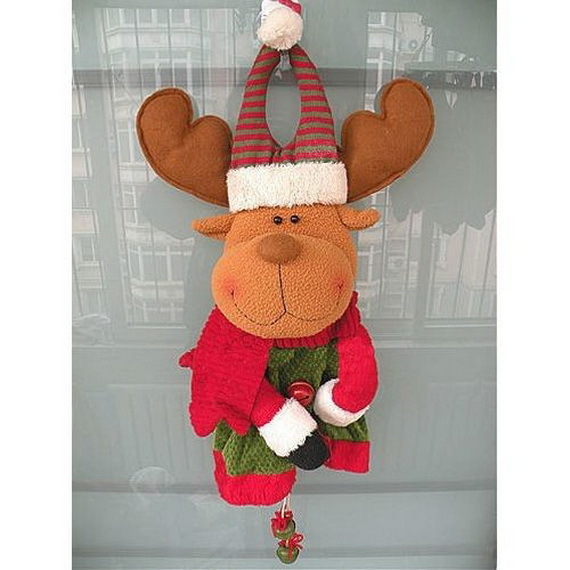 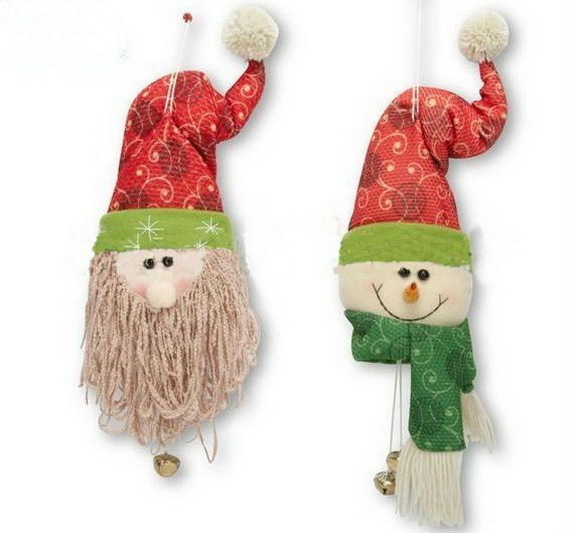 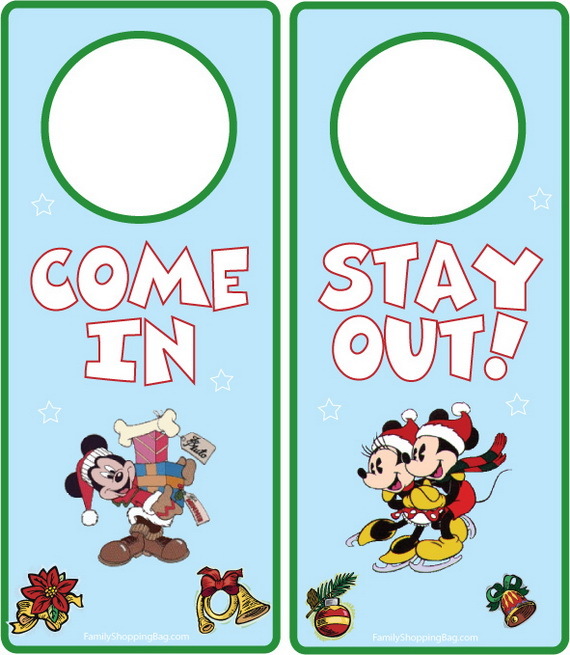 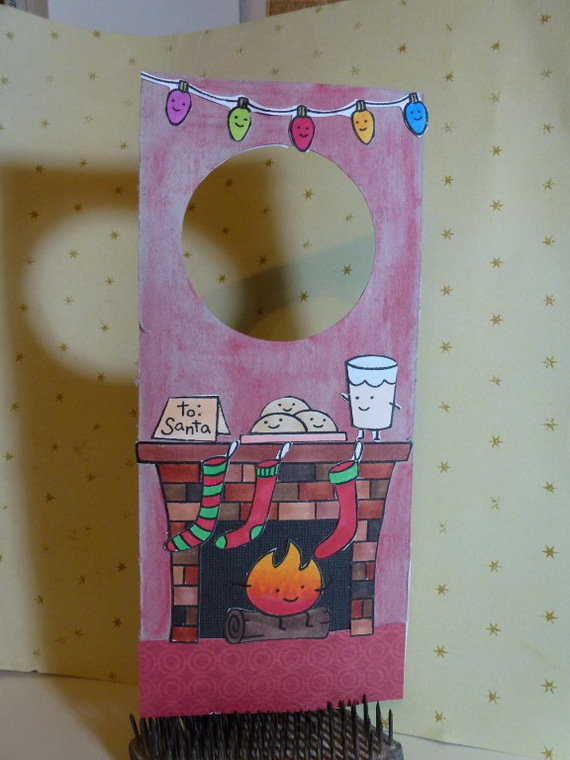 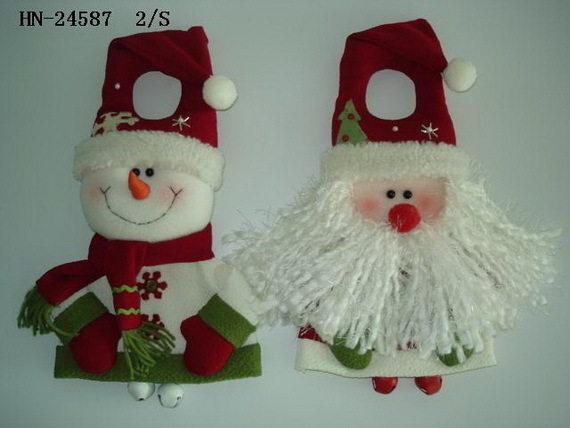 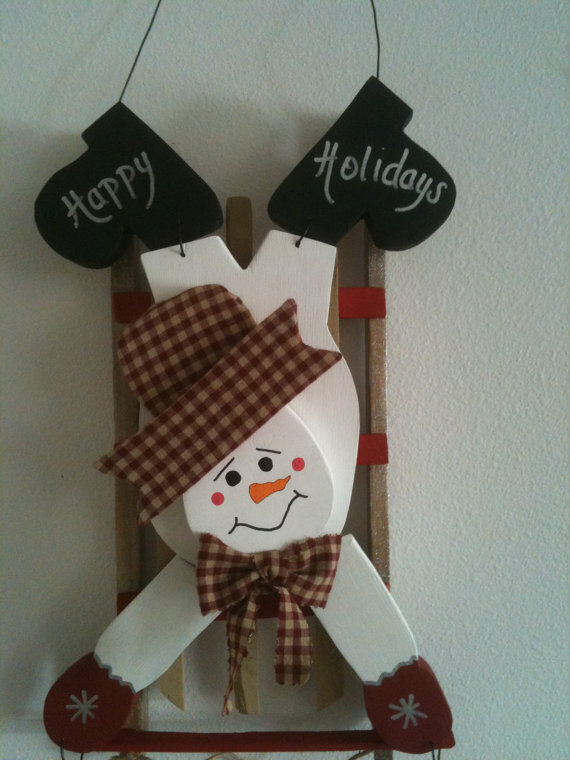 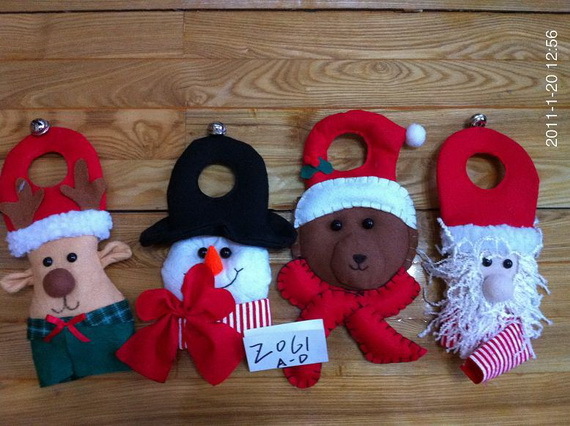 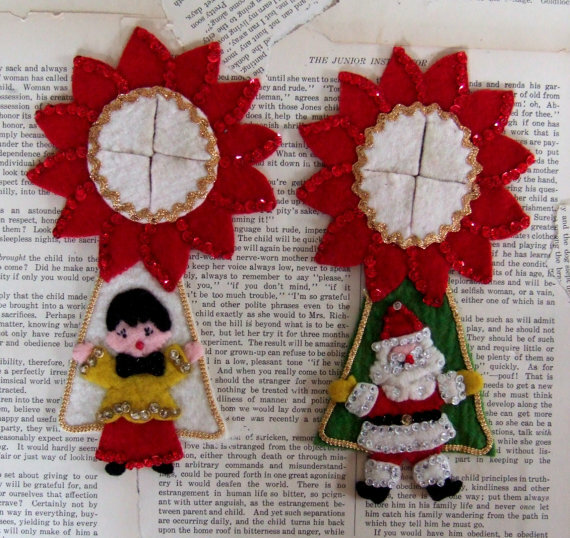 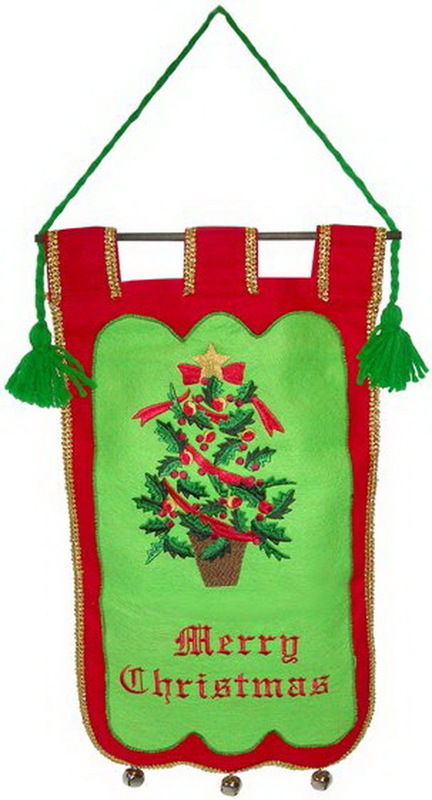 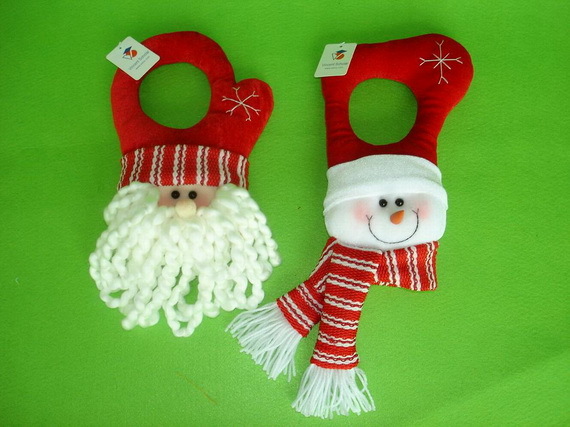 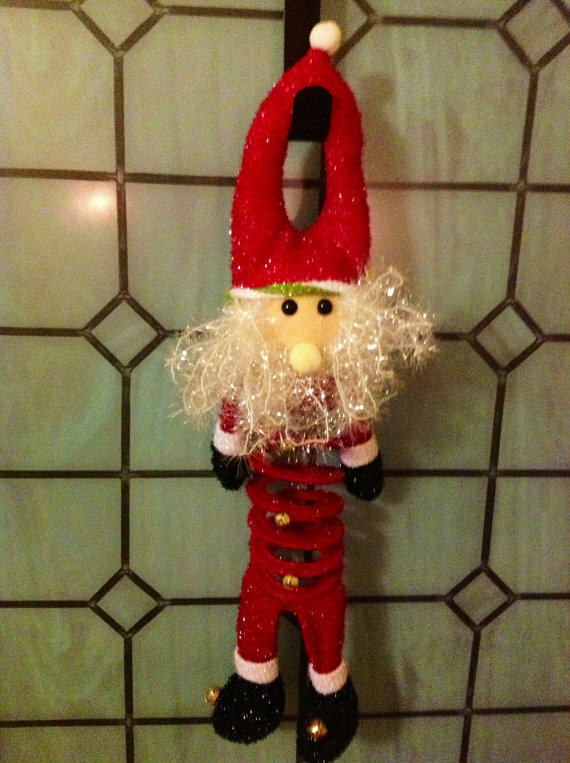 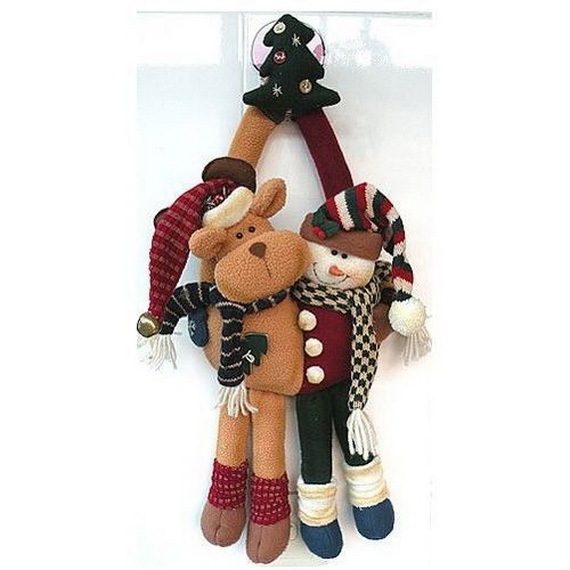 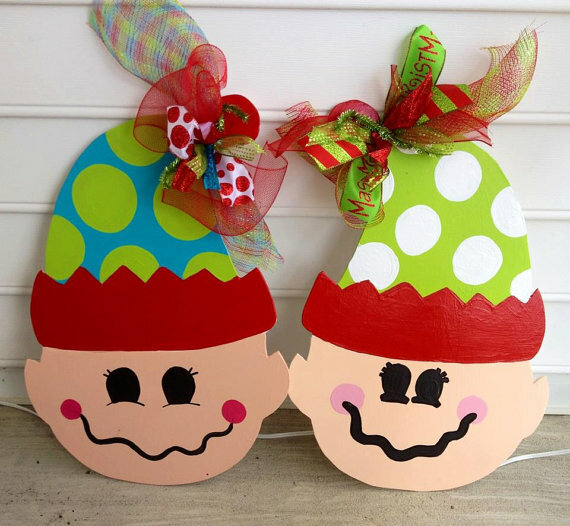 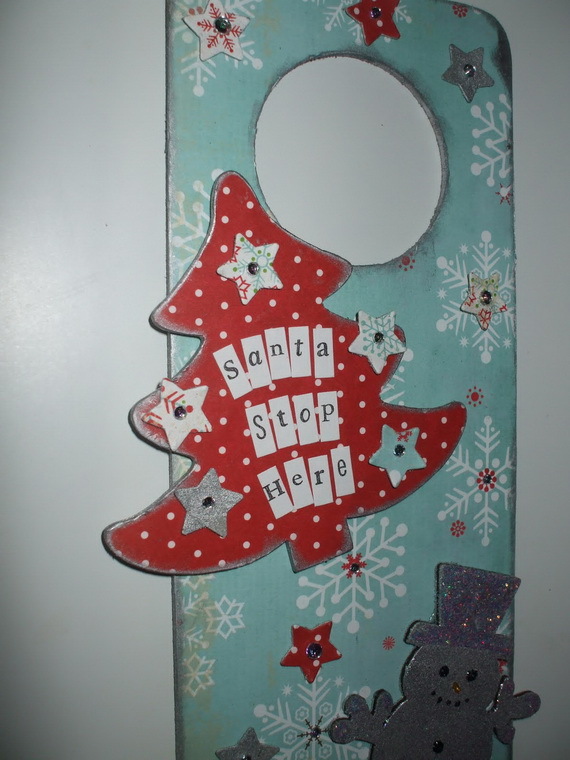 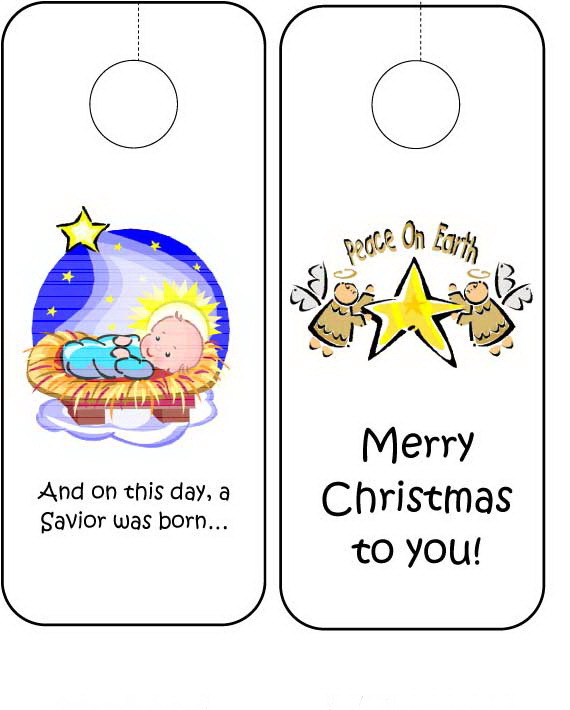 Santa’s sure to come knocking on your child’s bedroom door when one of these Christmas door hangers are hanging. 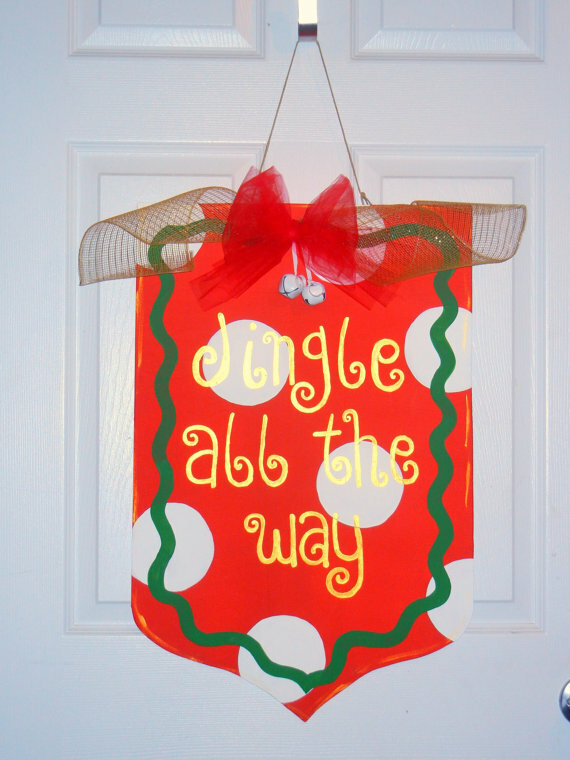 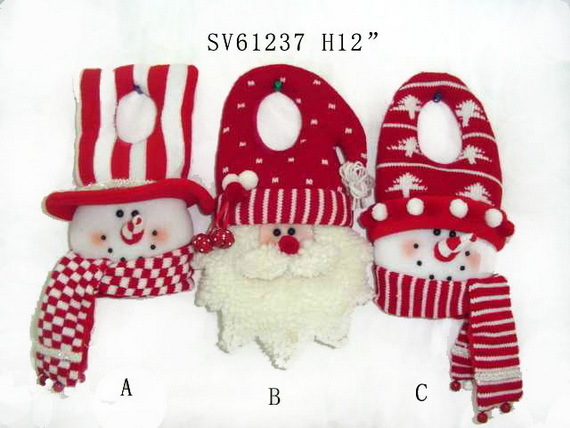 Christmas Door Hangers for decorating are a popular activity during the holiday season, they are simple to make and serve as interior final touch décor as well. 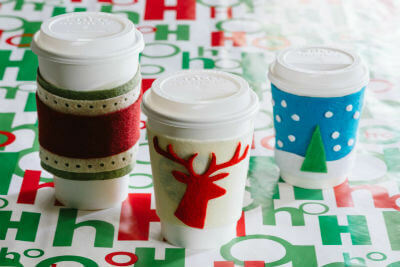 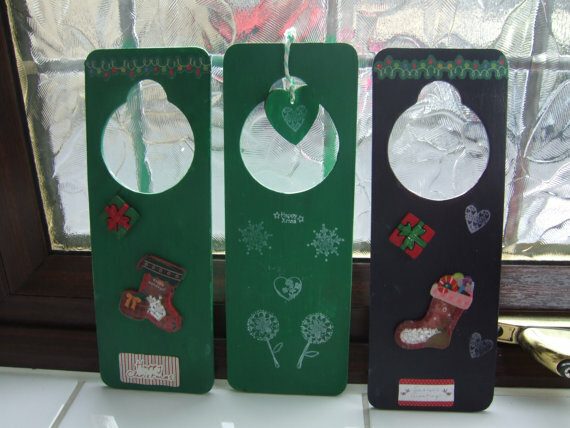 Lots of options exists when creating Homemade Christmas door hangers, each option doesn’t cost much. 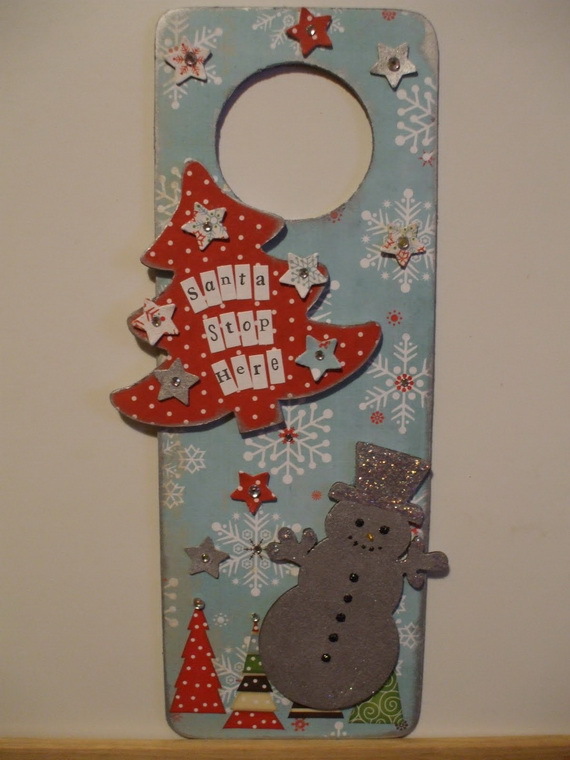 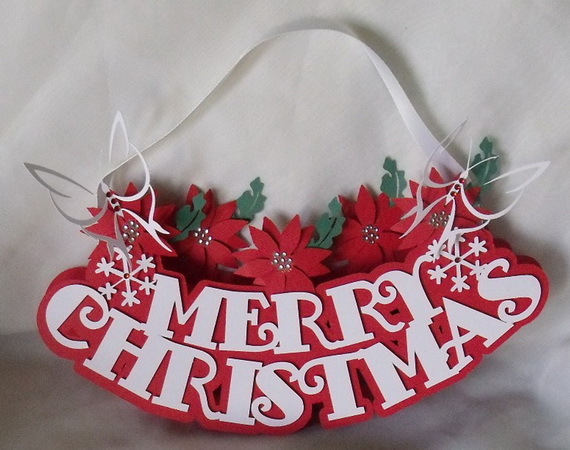 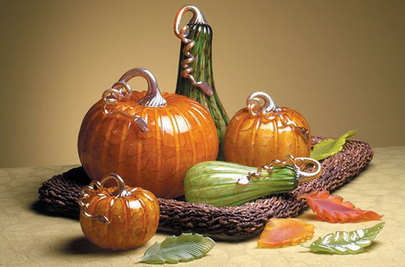 Christmas Door Hangers can be made in several shapes and sizes which reflect the feeling of the season. 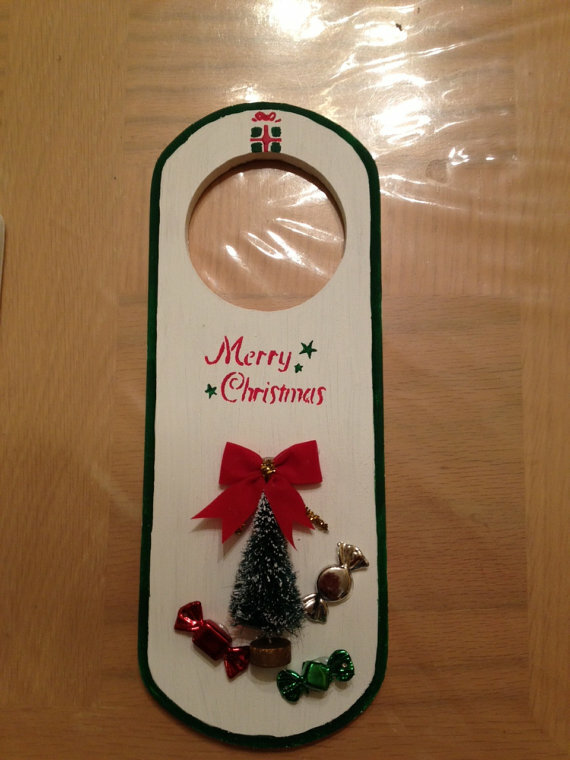 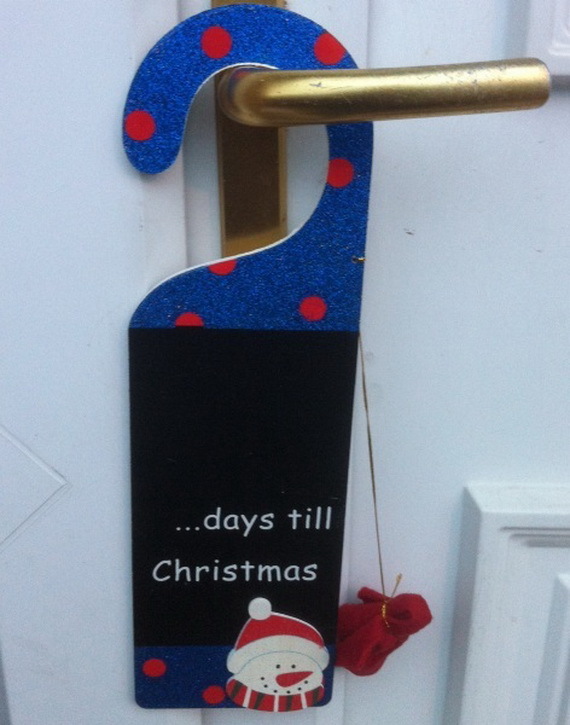 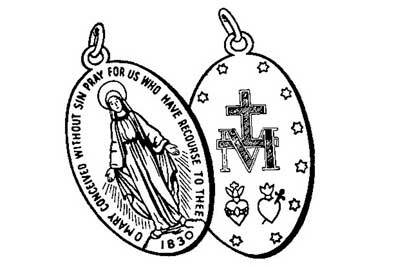 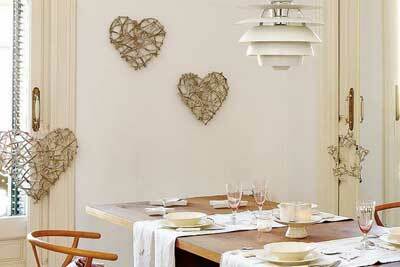 Christmas Door Hangers should be simple in design and just effective that can adapt to every shape. 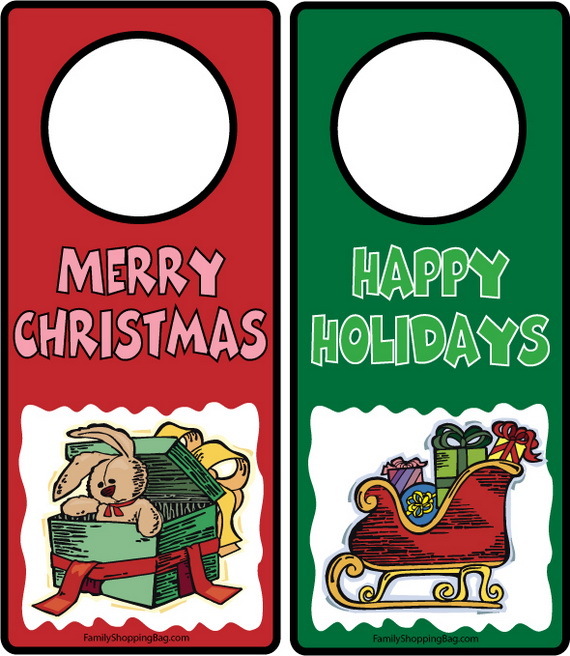 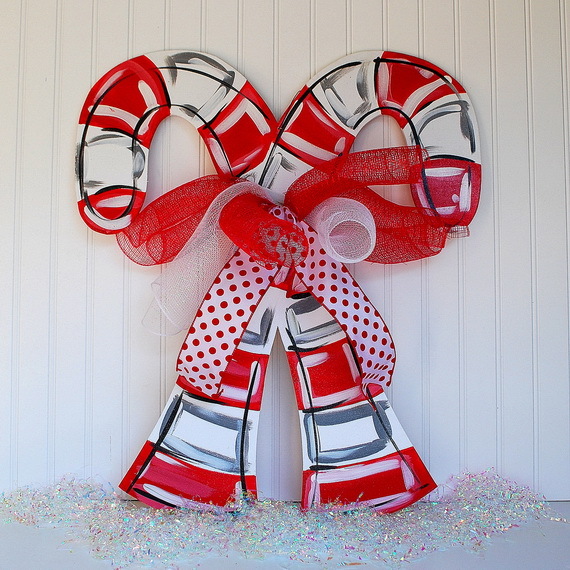 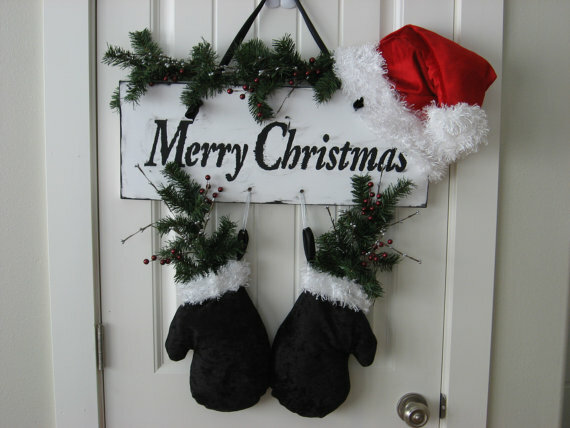 Here we presented a wide range of Homemade Christmas Door Hanger Decoration Ideas and designs based on Christmas theme to help you create your door hanger.